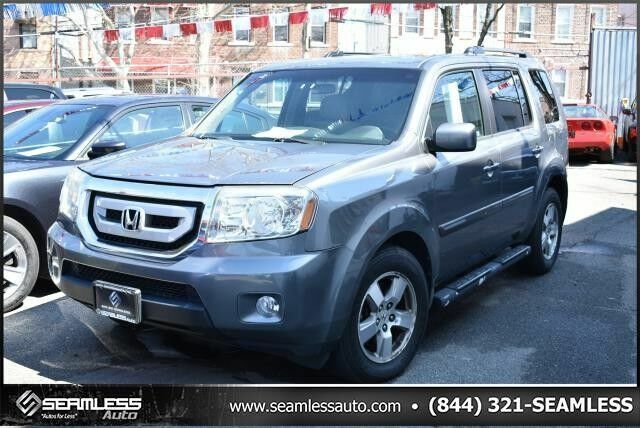 Contact Seamless Auto today for information on dozens of vehicles like this 2009 Honda Pilot EX. CARFAX BuyBack Guarantee is reassurance that any major issues with this vehicle will show on CARFAX report. If you're in the market for an incredible SUV -- and value on-the-road comfort and manners more than ultimate off-road prowess or tow capacity -- you'll definitely want to check out this Honda Pilot EX. With 4WD, you can take this 2009 Honda Pilot to places roads don't go. It's all about the adventure and getting the most enjoyment out of your new ride. More information about the 2009 Honda Pilot: Each style is available with 2-wheel drive or an advanced 4-wheel drive system that includes Variable Torque Management (VTM-4). However, the true value and strength of the Honda Pilot lies with its roomy interior. The redesigned interior adds an additional 2 inches of legroom to the 3rd row, possibly providing a rarity in its class: true 8-passenger seating. More impressively, the Pilot boasts 87.0 cu ft of cargo space when there aren't passengers to fill those seats. The addition of the new luxury Touring class may prove to be a boon to value-minded customers. This model sets itself apart with A competitively priced mid-size SUV centered on fuel efficiency without sacrificing a spacious interior.